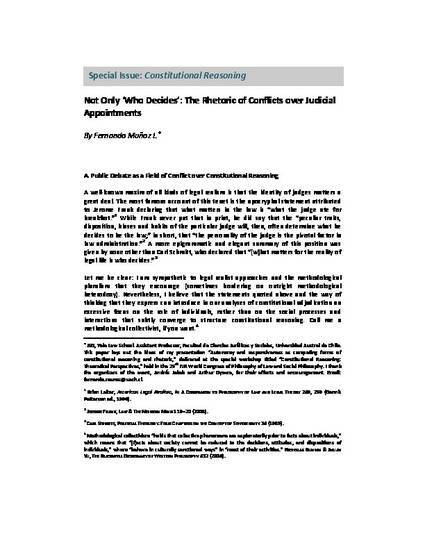 This article looks at the conflicts surrounding the appointment of constitutional judges, focusing not so much on the characteristics of particular candidates but on the debates that they give rise to. Who are the actors in these conflicts? What arguments do they employ? What are their agendas? What is at stake in these disputes?